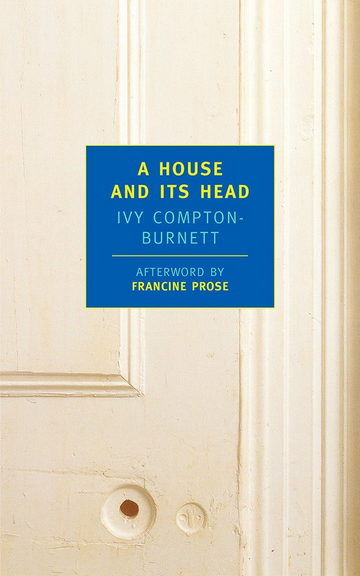 Filmmaker John Waters, in his memoir of sorts Role Models, writes that he has all of Ivy Compton-Burnett’s novels but has kept one unread – because when he reads it ‘there will be no more Ivy Compton-Burnett for me and I will probably have to die myself’. According to the great biography Ivy, by Hilary Spurling, an old friend came to visit Ivy and she woke from a catnap and snapped, “I’m not tired, I’m sleepy. They are different things. And I’m surprised that you should say tired when you mean sleepy.” That Ivy! She was a real laff-riot. Now, having read A House and Its Head recently, I know what Waters meant. It’s a vicious black comedy about a wealthy family in Victorian England infighting mercilessly over power. It is written almost entirely in dialogue. Slight spoilers follow. At Macmillan Dictionary Blog I’ve been writing about etymology and Lewis Carroll. [The] common word remorse, as you may now guess, literally means to bite back, from re- added to our Latin friend mordere. We might not be accustomed to thinking of remorse as a metaphor, but in a broad sense it is – like depend it tucks a physical idea into an abstract one. Remorse is the feeling of our conscience gnawing at us. There was also once a verb remord, meaning ‘feel remorse’, ‘afflict with remorse’, etc., but it is archaic and hasn’t been in popular use for centuries. Grammatical agreement is observed much more strictly in standard and formal varieties of English than in casual speech or non-standard dialects. Authors may exploit this to convey certain facts about a character or sociolinguistic context. . . .
Lewis Carroll did this too. In his short story ‘Eligible Apartments’ he uses non-standard dialogue liberally: ‘Here you has them on the premises’ (instead of have), ‘So we grows them ourselves’ (instead of grow), and ‘It do scratch, but not without you pulls its whiskers’ (do instead of does; pulls instead of pull). 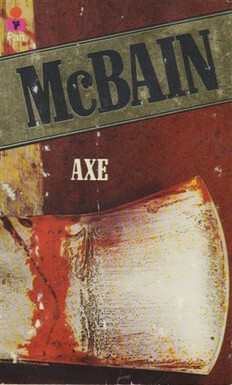 I went on a binge of Ed McBain’s crime fiction recently, enjoying his keen ear for language and tight storytelling style. Below are three language-themed excerpts from Axe, written in 1964, which features detectives Steve Carella and Cotton Hawes investigating a grisly murder. ‘Whom, and you may not,’ she said. ‘Your grammar is bad, and your granpa is worse,’ the woman said, and began laughing. The ellipsis in Carella’s last line, which shows he’s being interrupted, is a stylistic device known technically as aposiopesis. An em dash is also commonly used in this context. Teddy Carella watched his lips as he spoke because she was deaf and could hear only by watching a person’s lips or hands. Then, because she was mute as well, she raised her right hand and quickly told him in the universal language of deaf mutes that the twins had already been fed and that Fanny, their housekeeper, was at this moment putting them to bed. Carella watched her moving hand, missing a word every now and then, but understanding the sense and meaning, and then smiled as she went on to outline her plans for the evening, as if her plans needed outlining after the kiss she had given him at the front door. Leaving aside the naive reference to the “universal language of deaf mutes” (signing, far from being singular, comprises many languages and dialects), it struck me as a laudable description, presenting signing as a normal activity and showing its potential for humour and seduction. I don’t read enough such accounts in fiction. ‘We’re investigating a murder,’ Hawes said flatly. ‘You talk nice,’ Cavanaugh said appreciatively. I liked this exchange a lot too. That McBain, he writes nice. 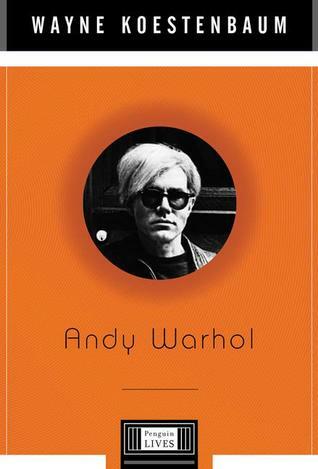 “Words troubled and failed Andy Warhol,” writes Wayne Koestenbaum on the first page of his biography of the artist (Penguin Books, 2001), even though Warhol wrote many books, “with ghostly assistance”, and had a distinctive speaking style. Koestenbaum returns several times to Warhol’s relationship with language and with time, noting how Warhol’s love of repetition manifested in verbal expression, and remarking on how he “distrusted language” and didn’t understand “how grammar unfolded episodically in linear time, rather than in one violent atemporal explosion”. Interview magazine was Andy’s most sustained attempt, after a [a novel], to cross the border between tape-recorded speech and the written word: his experiments in bridging this divide involve a serious philosophical quest to figure out where and how verbal meaning breaks down, and to track the imprecise, shiftless way the words occupy the time it takes to utter and understand them. Andy’s intensest experiences were visual, not verbal, yet he remained fascinated by his own difficult, hampered process of verbalization. Interview, an ideal vehicle, allowed him to indulge his interest in dialogue, as well as his desire to bodysnatch reality and to seal it in falsely labeled canisters. Via the technological mediation of tape recorder, Andy hoodwinked time and talk, and canned it as a product bearing his own name. I don’t know how serious a philosophical quest it was, but I can relate to the interest in unedited dialogue. Anyone who has transcribed recorded speech will have noticed how halting and erratic is its syntax, compared to the deliberate (if not always elegant) order of writing. Speech, particularly in conversation, is characterised by false starts, broken phrasing, and disorganised ideas; full, coherent sentences are the exception. Little wonder our memory of syntax and vocabulary is so poor. Warhol’s unashamedly commercial attitude can belie the fact that he was a deeply sensual artist, and for all his awkwardness with language I think he must have savoured this slippery, intimate side of it – especially when it manifested in so messy and profligate a fashion. Few people outside Ireland are likely to have seen Soupy Norman, a cult comedy that aired in 2007 on our national station RTÉ. Essentially, Soupy uses footage from a Polish soap opera and turns it into an Irish family drama by redubbing the audio track with a surreal Hiberno-English script. The fun lies in the lip-synching and voiceover, which are done partly to match speakers’ mouths, partly to fit the characters’ actions and interactions, and partly to serve the imaginary and often ridiculous plot. Non sequiturs pile up in disjointed rhythms to wonderfully silly effect. Below is the first of eight episodes (9½ min. long), from where you can follow links to the rest, including a Christmas special. Your mileage may vary, but if it appeals to your sense of humour, watch the lot; every episode has its own inspired lunacies and running jokes (and, for the dialectally minded, Irish accents, expressions, and slang). So we see its use isn’t limited syntactically: it can modify adjectives, verbs, nouns, etc. – but always in dialogue, at least from the two authors I’ve seen use it so far. Kind’ve and company are an understandable development, but an unsound one in my view – despite appearing in edited books by well-known writers. My advice is to avoid kind’ve: there are other ways to convey informality, and it’s more likely readers will be confused, annoyed, or distracted by this kind of orthographic meddling. * Speaking of which, an Urban Dictionary definition says sort’ve is “the new would of!” and notes sarcastically that it “serves to demonstrate that “have” and “of” are now completely interchangeable”. Unstressed ’ve is phonetically identical (/əv/) to unstressed of: hence the widespread misspellings would of, could of, should of, must of, might of, may of, and ought to of. Negative forms also appear: shouldn’t of, mightn’t of, etc. This explanation – that misanalysis of the notorious schwa lies behind the error – has general support among linguists. The mistake dates to at least 1837, according to the OED, so it has probably been infuriating pedants for almost 200 years. Common words spelt incorrectly provoke particular ire, sometimes accompanied by aspersions cast on the writer’s intelligence, fitness for society, degree of evolution, and so on. But there’s no need for any of that.